There’s some images that just knock you back with their beauty. One such artist is Raphael Lacoste, who’s produced art for games and films alike. Here’s some fantastic images from his portfolio. 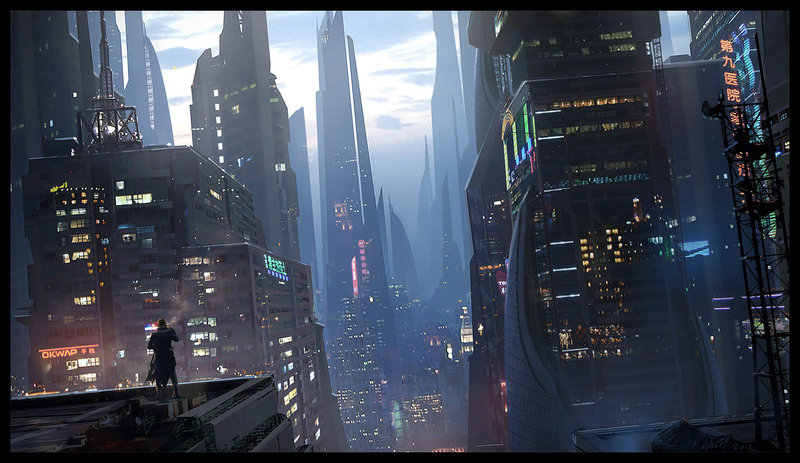 Raphael Lacoste was the Art Director at Ubisoft, where he worked on games such as Prince of Persia and Assassin’s Creed. He’s since moved away from the video game world, and has since worked as on the matte paintings and concept art for films such as Terminator Salvation, Journey to the Center of the Earth, Death Race, Immortals, Repo Men, and Jupiter Ascending. He’s also done the artwork for some book covers, such as The Windup Girl, by Paolo Bacigalupi. As illustrator and art director, I want to create worlds that people want to explore and discover. I think it is important to create moments of immersion and stories to help us to be entertained and escape from our routine. One of my goals when I do art, or work on a project, is not to re-create reality but to create moments through mood, image composition and atmosphere, that could be memorable journeys. Here’s some of the work that he’s posted up to his website. It’s utterly fantastic, with wide open worlds for you to get lost in. He’s actively selling some prints of his work over on his website, and you can follow his latest activities on Facebook.